Heat oil in medium skillet over medium-high heat. Add apple and onion. Cook about 2 minutes or until nearly tender, stirring occasionally. Add garlic; cook for 30 seconds more. Transfer mixture to large bowl and cool to room temperature. Stir basil, sage, salt, coriander, and pepper into apple mixture. Add ground chicken; mix with hands until just combined (do not overwork meat mixture). With damp hands, form mixture into sixteen 1/2-inch-thick patties. Transfer to a tray or baking sheet lined with plastic wrap. Cover and refrigerate or freeze until ready to use. To use, thaw sausage patties in refrigerator, if frozen. Heat nonstick skillet over medium heat. Add sausages. 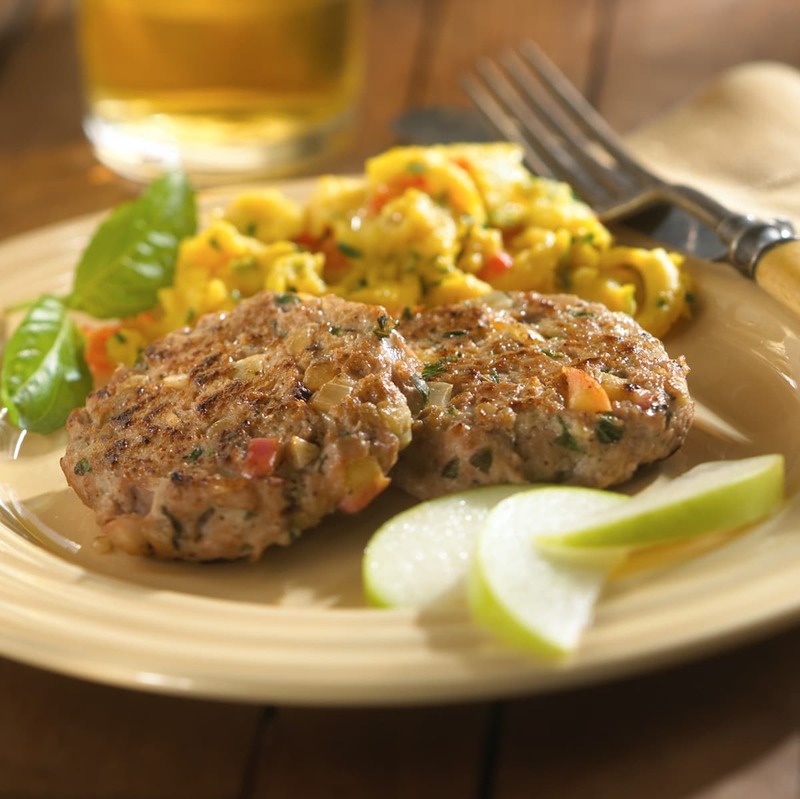 Cook for 6 to 8 minutes or until an instant-read thermometer inserted near centers reads 165° F, turning patties over halfway through cooking. Drain on paper towels before serving.